Pages: x + 197 pp. Werewolves are of perennial interest, and seem to have been so in the western world for several millennia. The success of the Twilight franchise, the recent remake of The Wolf-Man, and the upcoming Red Riding Hood have, of course, stimulated interest in them further. It is because of these (particularly Twilight) that the popular occult publisher Llewellyn has produced several books recently on vampires and werewolves by their dark/gothic magic author, Konstantinos. Like many publications that Llewellyn produces, this one is affordable, but also rather lightweight in its content (at about two hundred pages, it’s even lighter weight because of the font size and spacing), and as usual not fact-checked, though the proofreading is fairly decent. Konstantinos’ introduction and eleven chapters eventually reveal that he classifies “werewolves” into four categories: voluntary werewolves, involuntary werewolves, other-dimensional beings, and astral werewolves. This is a good typological schema to follow, and most of the examples that could be thought of from the more popular lycanthropic tales do fall into one of these categories quite easily. He makes a distinction between the “Hollywood” werewolf and the more traditional werewolves of mythology, folklore, and literature, and his enumeration of examples does start where it ought to: ancient Mesopotamia, with the Epic of Gilgamesh — however, he does not quite do enough to distinguish the “wild man” Enkidu from the unfortunate shepherd who was the victim of Ishtar’s curse and who became a wolf harried by his own hounds, which is the first “official” involuntary werewolf of worldwide literature. There is a concern throughout to find the “fact” behind any possible werewolf appearances, and a good bit of the book discusses medical and psychological understandings of lycanthropy, the influence of hallucinogenic substances, and even some cryptozoological investigations of the past century. Ultimately, he suggests that either astral werewolves or other-dimensional beings might be the most likely “truths” behind the variety of werewolf legends, but he leaves it rather open-ended at the same time, which is a sound enough set of conclusions to draw. Though he gives several examples of “werewolf rituals” and discusses the effects of psychodrama on human consciousness and perception, he does not give nearly enough attention to a further possibility in either his taxonomy or wider options for the identification of werewolf activities throughout history. That possibility (which I have explored in my own monograph that deals with lycanthropy) is the use of werewolves as metaphor in warrior activities and rituals, in which a literal transformation does not occur, but the identification of an individual with a canid (whether lupine, canine, or vulpine, as well as other non-canid possibilities, e.g. ursine) form and identity, extending even to naming conventions and descriptions, does occur to the point that language no longer distinguishes between a person and a wolf — they have literally (in the words of an ancient Hittite law on these matters) “become a wolf.” This can occur because of commission of outlawed activities of various types (from larceny to illicit sexuality), or it can be a part of a complex of beliefs and activities involving seasonal battles, or it can be a “phase” associated with age grades and particular social and anti-social activities on the part of youthful warriors. One of the best examples of this sort of activity is that attested in the late seventeenth century CE by “Old Thiess,” a Livonian who was tried by an ecclesiastical court for having admitted to being a werewolf. This is an instance which Konstantinos discusses at some length in his book (pp. 163-169), but he does not quite arrive at this set of conclusions based on his own typological schema. 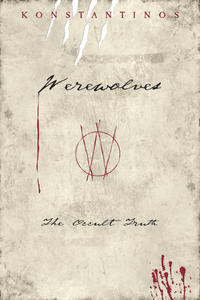 Some of the most important and influential examples of werewolves in literature are not given any coverage in this book, despite their presence in several of the sources listed in Konstantinos’ notes and bibliography. The medieval Breton tale of Bisclavret, one of the most essential werewolf tales of the medieval period, which was translated into other languages, reworked, very popular, widely covered in secondary literature, and one of the best “sympathetic werewolf” tales ever penned in literature, gets no mention whatsoever in this book (nor do its close medieval comparanda, Melion, Guillaume de Palerne, Arthur and Gorlagon, etc.). Some instances of Arcadian werewolves from ancient Greece do get mentioned, as does the werewolf incident in Petronius’ Satyricon (once, and rather quickly), and there is even mention of Marcellus of Side’s medical account of werewolves from the second century CE (note, though, that Konstantinos gives his name as “Marcellus of Sida,” which is incorrect), but his account of various instances is far from complete. One topic that he mentions very briefly is an anecdote, which he no doubt found in either Sabine Baring-Gould’s Book of Werewolves (or a source that derives from it — though Konstantinos cites no particular source), regarding St. Patrick turning the Welsh king Vereticus into a wolf by cursing him. Baring-Gould wrote in 1865, and his work can now be found on the internet, as well as in cheap paperback reprinted form, and it has been consulted by a huge number of authors writing about werewolves (and other topics) since the late nineteenth century. Unfortunately, this is one of the points about which Baring-Gould is certainly incorrect, and yet the mistake has been repeated by amateur scholars endlessly ever since. One of the earliest hagiographies dealing with St. Patrick details his curse of the wicked Welsh king Coroticus, whom he turns into a fox with an admonitory letter. For various reasons having to do with later Latin versions of this incident, the orthography of Coroticus in these later sources, and perhaps dyslexia or some other phenomenon of misreading on Baring-Gould’s part, he read the king’s name as Vereticus, and the animal in question as a wolf (lupus) rather than a fox (vulpes). In a medieval Old Norse text that includes a section on the wonders of Ireland, Patrick is credited with having cursed the people of Ossory to become wolves, but this Old Norse version varies from the most common attribution of the curse to St. Natalis — a saint who is himself described as a ferchú (“werewolf”) in a few hagiographic texts — which appears in the work of the Welsh/Norman clerical writer Giraldus Cambrensis. Natalis does get a mention in Konstantinos, but his discussion of the legend of Ossory and its attribution to Patrick does not give very much detail, and cannot be correlated to any sort of mixing or confusion with the Vereticus legend, as it not only doesn’t exist (!?! ), but the two populations concerned, the reasons for the transformation, and the types of animals involved form separate literary and hagiographical strands that have little to do with one another. The connection of werewolves to Ossory is ancient, and probably predates the legend of Patrick and Coroticus entirely; the clan in Ossory who claimed descent from werewolves was known as the Meic Giolla Phádraig (“sons of the servant of St. Patrick”), who later styled themselves in the post-Norman period as “Fitzpatrick.” Other Irish saints are credited with turning groups of people into wolves, and a Breton saint said to be of Irish origin was even accused of being a werewolf himself. A great deal more could be said about this, but suffice it to say for the moment that no matter how widespread this idea about Patrick, “Vereticus,” and werewolves may be, that does not necessarily make it any older than 1865. Primary source scholarship should always be preferred whenever possible, but there is very little of that in Konstantinos’ book. Another such omission, which would have improved Konstantinos’ arguments greatly had it been included, is the medieval English work of Gervase of Tilbury, Otia Imperialia, which was written in Latin. There are several instances of werewolves mentioned in it, and one of the first times in Western European werewolf legendry that suggests a lunar connection to werewolf transformations occurs in it — but it is not the full moon which triggers it, but the new moon. Further, Konstantinos discusses on pp. 82-84 the “telltale wound” that often occurs with werewolves who are injured in animal form but then have a matching wound in human form (which lycanthropy experts often refer to as “repercussion,” a term missing from Konstantinos’ work), and in particular the lopping off of a paw; but then on p. 90, he states that these sorts of amputations don’t effect a permanent cure, but instead only serve to identify the werewolf when they return to human form. Gervase’s work deals with such an incident specifically, and in fact states that the removal of a limb is one of the only ways to relieve the curse of lycanthropy from someone afflicted with it. While his chapter on “astral werewolves” is good from a theoretical standpoint, it is not as in-depth as it ought to be, and again leaves out some important early examples that would no doubt have been available to him (at least in secondary form) through the writings of Montague Summers, which he cites at various points. Some of the earliest accounts of “astral werewolves” come from Ireland, and the writings of Bishop Patrick of Dublin (not to be confused with St. Patrick), where it is stated that some men in Ossory become wolves in their sleep, when their souls go out of their bodies and assume wolfish shapes. The main source for the theoretical basis of the ideas about astral werewolves in Konstantinos’ book is the work of Claude Lecouteux, which is also noteworthy for this absence, despite Lecouteux’s contention that all lycanthropy can be explained as astral travel in animal form. Summers’ book, while old, is not outdated in its thoroughness and attention to detail, and Konstantinos would have done well to have paid better attention to drawing out some of its points for his own discussion. There is one further instance in which I’d strongly question an off-hand statement by Konstantinos, on p. 151, where he states that Anubis is a “minor deity.” This is a highly debatable statement, considering he is one of the most widely recognizable and known deities from the whole of ancient Egyptian history in the modern world, and he enjoyed a very wide cultus in late antiquity, both in the Greek and Roman worlds as Anubis, and in the syncretized form of Hermanubis. A giant statue of Anubis has marked the King Tut exhibits in both London and New York in recent years, and reproduction statues and images of Anubis are quite widely available today. Calling him a “minor deity” is rather inaccurate, at best, given these considerations. Anubis is an example of a cynocephalic (“dog-headed”) being, which is an entire class of beings that has some relations to and crossovers with werewolves, but is an entirely separate topic, and one that Konstantinos never really addresses, other than in his chapter about “Otherdimensional Beings” who take such a form. There is no hint about the widespread nature of such cynocephalic beings in worldwide myth and religion, however, which is unfortunate. As I have written a book that deals with werewolves quite extensively (specifically Celtic ones in great depth, but also wider European werewolf traditions in summary, and also cynocephali), the subject is near and dear to my heart, but it would have been almost impossible for Konstantinos to have read it, given that it only came out in May of this year, and his book was published in the late summer/early fall. Nonetheless, there are many other good books on werewolves out there, which would have been available for him to consult for the past several years. Leslie Sconduto’s Metamorphoses of the Werewolf: A Literary Study from Antiquity through the Renaissance (2008) is more recent, though it primarily deals with medieval sources. Adam Douglas’ The Beast Within: Man, Myths, and Werewolves (1992) is equally good as a recent handbook. Even the older works of Baring-Gould and Summers would be well worth obtaining for those who are interested in this subject. Myths of the Dog-Man by David Gordon White (1991) is also one of the only books out solely about cynocephali, which also discusses werewolves briefly, and would be worth looking at for those who wish to know more on that subject specifically. I would anticipate the main counter to my critiques might be that Konstantinos’ work does not aim toward scholarly thoroughness, and is intended to be a “practical” work. That may very well be, but such a fact does not necessarily excuse it from taking into account important and popular tales from the past in his survey, particularly when they would enhance his points and add to his arguments considerably by doing so. But, further, what Konstantinos offers is not necessarily “practical,” as I did not see much evidence to indicate that he had attempted any of the rituals he gives, nor has he had any “encounters” to speak of with any of the various types of werewolves he enumerates. While he may have great experience and expertise with other topics he has written about previously, I think he is rather out of his depth when it comes to werewolves. I would not recommend this book, therefore, from either the viewpoint of an even moderately thorough survey of werewolf traditions and tales, nor as a useful text for practical usage.